Mode, a startup that offers a private network to compete with MPLS, has partnered with SD-WAN provider Versa Networks to integrate the two products. Join the Packet Pushers and special guests for Virtual Design Clinic 2, a live mini-conference that’s online and absolutely free. Learn from deep-dive tech presentations and get your networking questions answered. Sign up now to reserve your place. Barefoot Networks, maker of the Tofino ASIC, has released P4 Studio, software designed to make it easier to program Tofino and write custom functions. 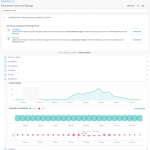 AppNeta, which offers a SaaS-based network performance monitoring (NPM) service, has announced new monitoring features to incorporate BGP data and greater DNS visibility, as well as a more powerful monitoring appliance. Arista is expanding its switch portfolio with the acquisition of Metamako, which makes network gear for high-frequency trading in the financial services industry. Juniper has announced a new software package, Contrail Edge Cloud, that targets service providers and telcos building out edge nodes to support existing and new applications. The package bundles software from Juniper and Red Hat for networking, compute, orchestration, and security. 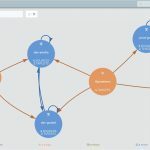 WLAN vendor Mist says it has enhanced its machine learning capabilities to improve anomaly detection, and has boosted the number of natural language queries its virtual assistant can respond to. 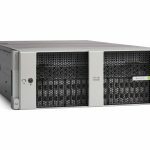 Cisco has announced a new UCS server, the C480 ML, for AI and machine learning workloads. The server includes 8 NVIDIA Tesla V100 GPUs and up to 182TBs of storage. Welcome IPv6 Buzz To The Packet Pushers! The IPv6 Buzz podcast, a twice-monthly deep dive into the v6 protocol, is now available in its own channel on Packet Pushers. VMware’s pitch to the enterprise is that they can maintain control over public clouds by bringing VMware with them. Meta Networks is rethinking secure remote access with a virtualized private network service that lets administrators apply fine-grained application access policies to employees and third parties such as contractors. Gigamon has acquired Icebrg, a security startup that collects and analyzes network metadata to detect attacks and help security teams investigate incidents. Icebrg uses on-premises sensors to collect packet metadata from switches and routers, and then sends that data to its cloud platform. Customers then access the data from a portal for analysis and investigation…. Corvil’s Intelligence Hub uses machine learning to extract both IT and business insights from network data. Cato Networks can now incorporate user identity and roles into SD-WAN policies. ArcOS from startup Arrcus is the latest network operating system to emerge for whitebox switching and routing. What does Arrcus bring to this crowded table? 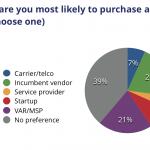 Check out our SD-WAN audience survey report, available with a free membership. Get context, analysis, and input from 272 IT pros on SD-WAN interest, deployment plans, WAN issues & more. Juniper’s latest product announcements are a signal that it’s serious about campus networking. But the company has to make up ground in wireless and SD-WAN. Darth Vader gives a keynote speech ahead of the launch of the Death Star Mark II. Don’t call it an SD-WAN: Aruba Networks thinks bigger with its SD-Branch announcement, but also asks more of potential customers. 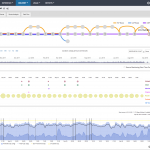 News highlights from Cisco Live US 2018 include a DevNet milestone, DNA Center being opened for developers, and Cisco’s commitment to intent-based networking. 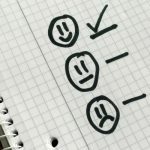 I inferred 3 unspoken messages in Chuck Robbins’ Cisco Live 2018 keynote: you need Cisco to survive, Cisco is still relevant, and we hear your complaints.